Now that you have made most of the choices for your installation, you are ready to confirm the default package selection or customize packages for your system. 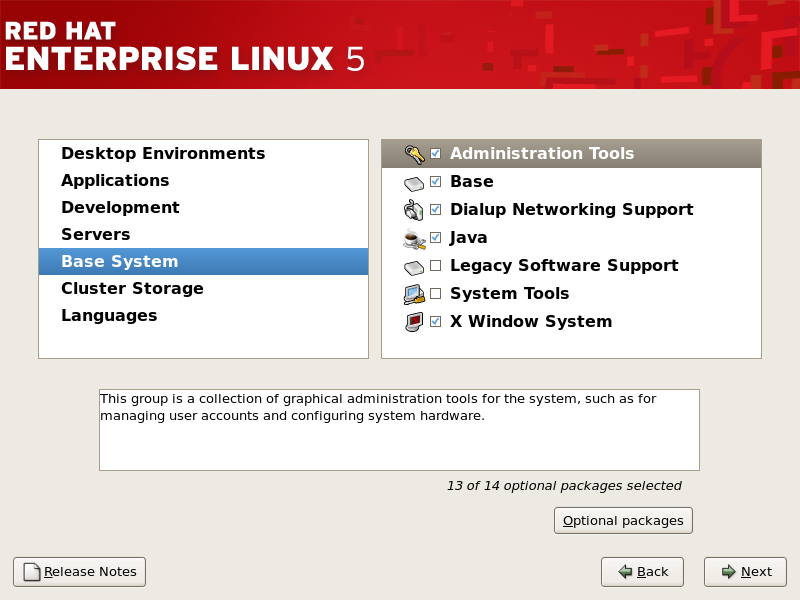 The Package Installation Defaults screen appears and details the default package set for your Red Hat Enterprise Linux installation. 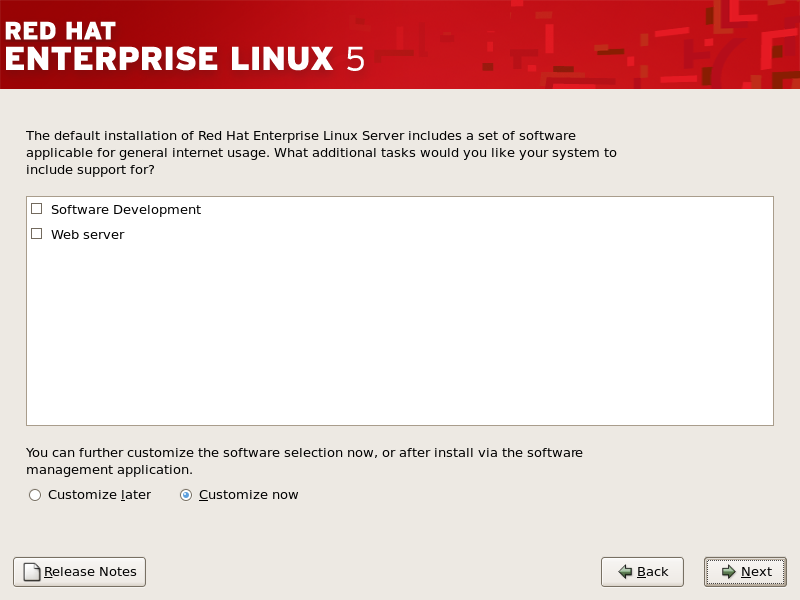 This screen varies depending on the version of Red Hat Enterprise Linux you are installing. If you choose to accept the current package list, skip ahead to Section 12.24, “Preparing to Install”. To customize your package set further, select the Customize now option on the screen. Clicking Next takes you to the Package Group Selection screen. You can select package groups, which group components together according to function (for example, X Window System and Editors), individual packages, or a combination of the two. Users who want support for developing or running 64-bit applications are encouraged to select the Compatibility Arch Support and Compatibility Arch Development Support packages to install architecture specific support for their systems. To select a component, click on the checkbox beside it (refer to Figure 12.23, “Package Group Selection”). Select each component you wish to install. Once a package group has been selected, if optional components are available you can click on Optional packages to view which packages are installed by default, and to add or remove optional packages from that group. If there are no optional components this button will be disabled.